and Richwood native Brian Allen. paper to draw with during the show. 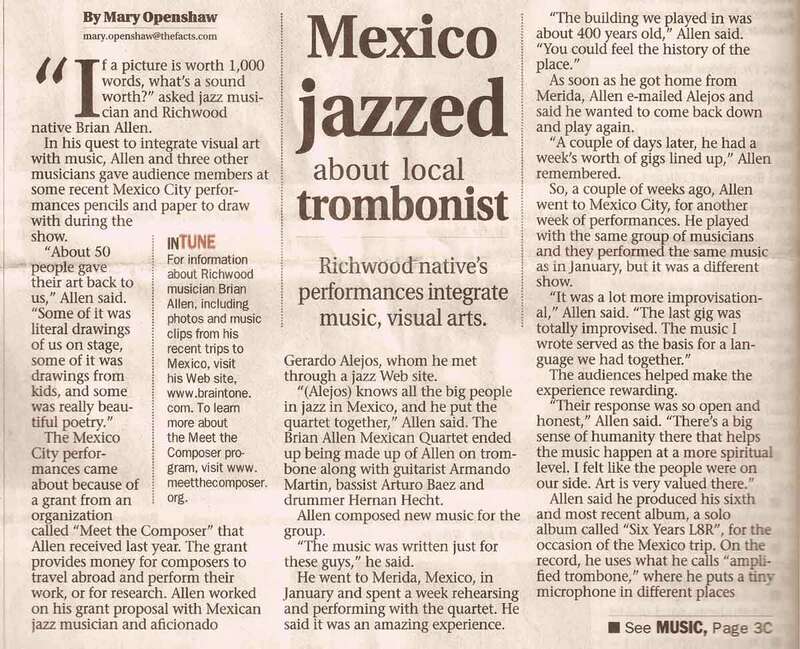 and aficionado Gerardo Alejos, whom he met through a jazz Web site. Allen composed new music for the group. “The music was written just for these guys,” he said. performing with the quartet. He said it was an amazing experience. to come back down and play again. the same music as in January, but it was a different show. The audiences helped make the experience rewarding. places inside his trombone to record new, different sounds. lessons at local high schools and at Brazosport College. 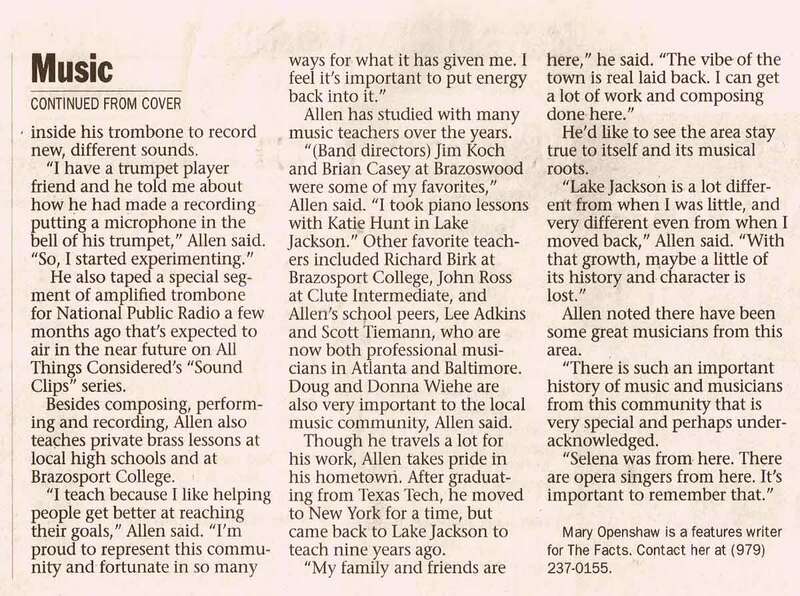 Allen has studied with many music teachers over the years. Donna Wiehe are also very important to the local music community, Allen said. to Lake Jackson to teach nine years ago. 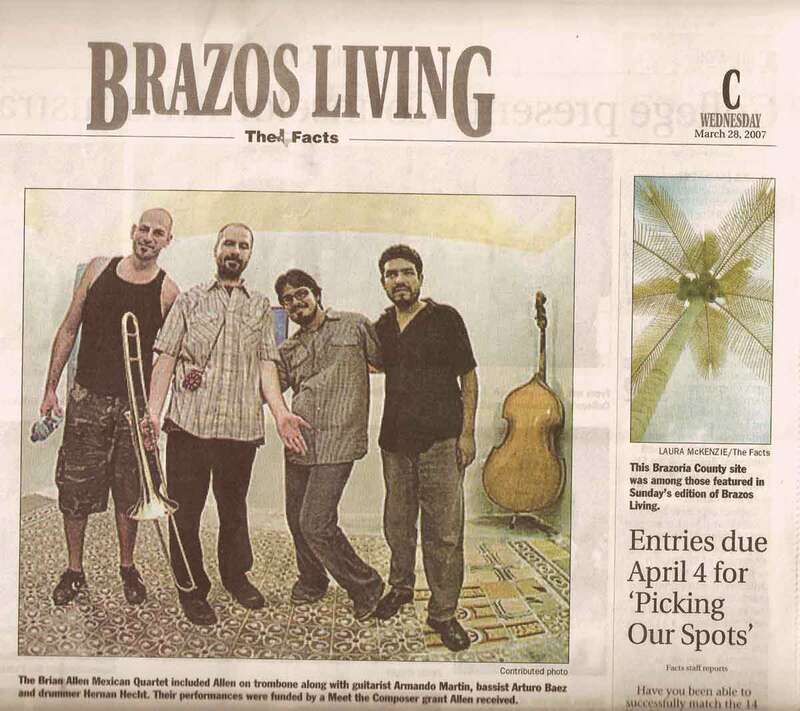 He’d like to see the area stay true to itself and its musical roots. Allen noted there have been some great musicians from this area. that is very special and perhaps under-acknowledged. music clips from his recent trips to Mexico, visit his Web site, www.braintone. com. To learn more about the Meet the Composer program, visit www.